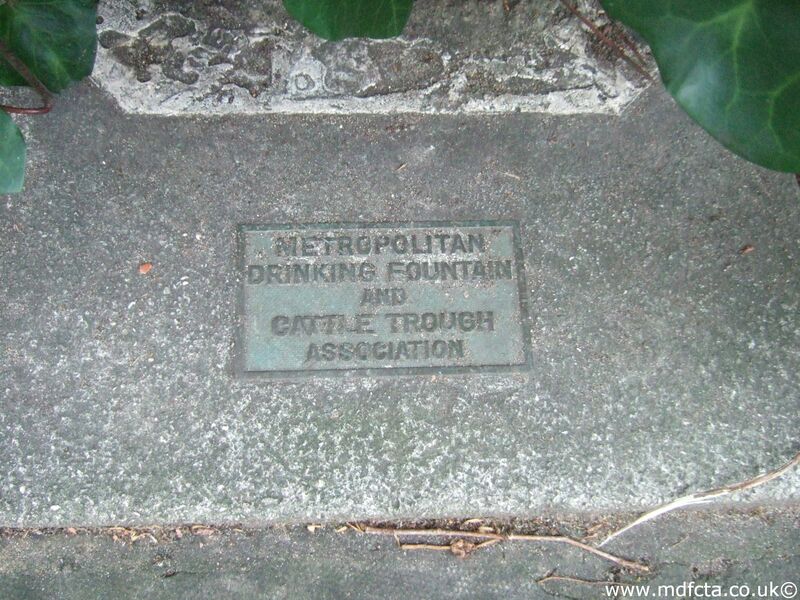 Are there any more Metropolitan Drinking Fountain and Cattle Trough Association cattle troughs in the London Borough of Camden? 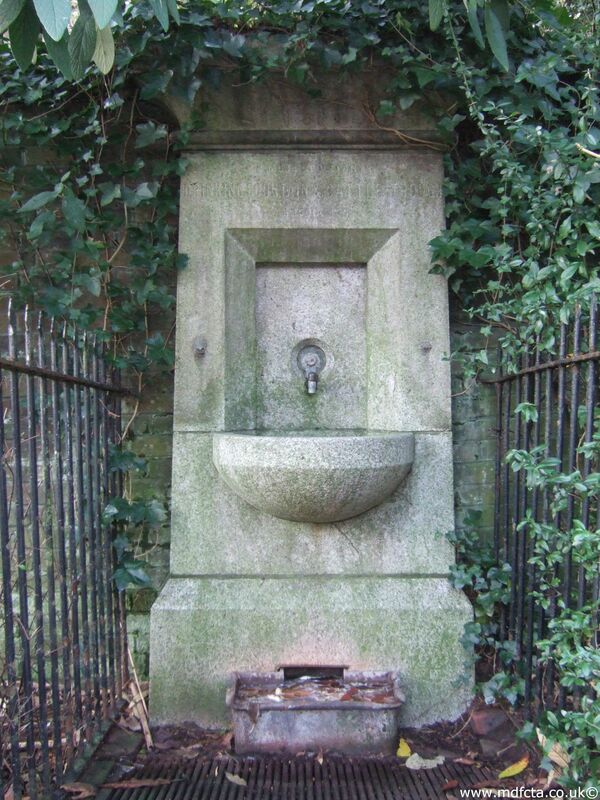 If you know of any other cattle troughs in Camden please send me details. 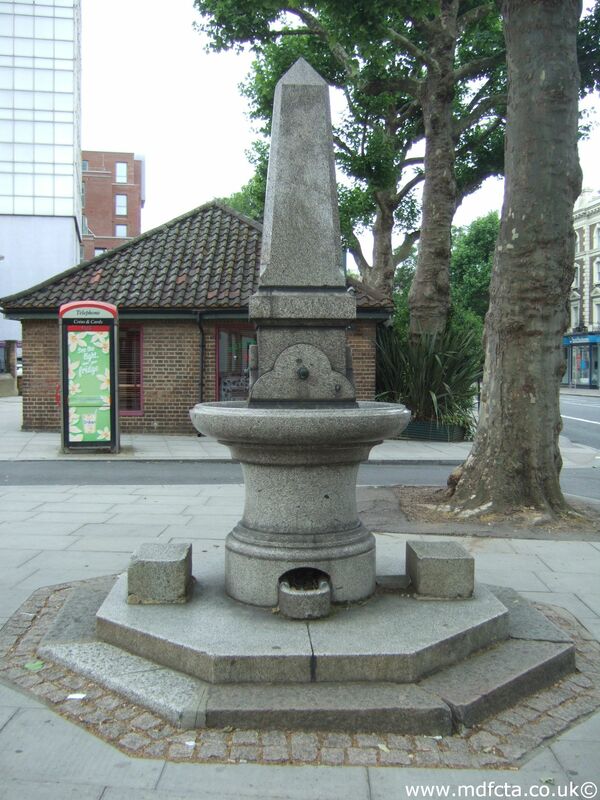 In February 1897 an 18ft trough  was erected at Battle Bridge Road by Wharf Road. 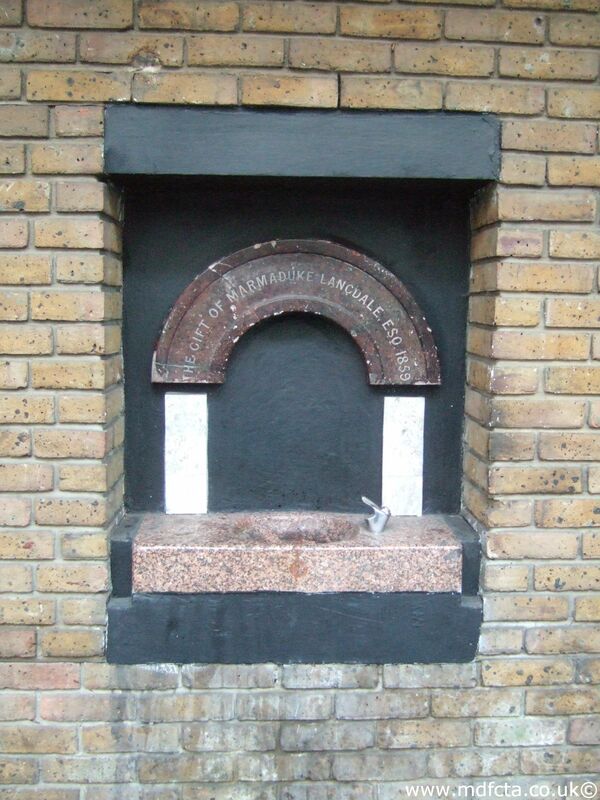 This trough previously stood at King’s Cross. 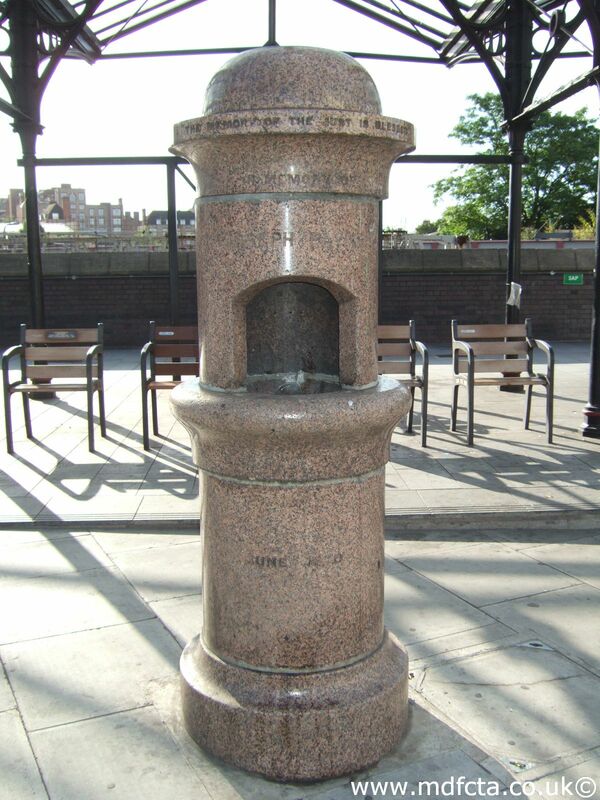 In May 1878 a 6ft 6in trough  was erected in the centre of Cumberland Market. 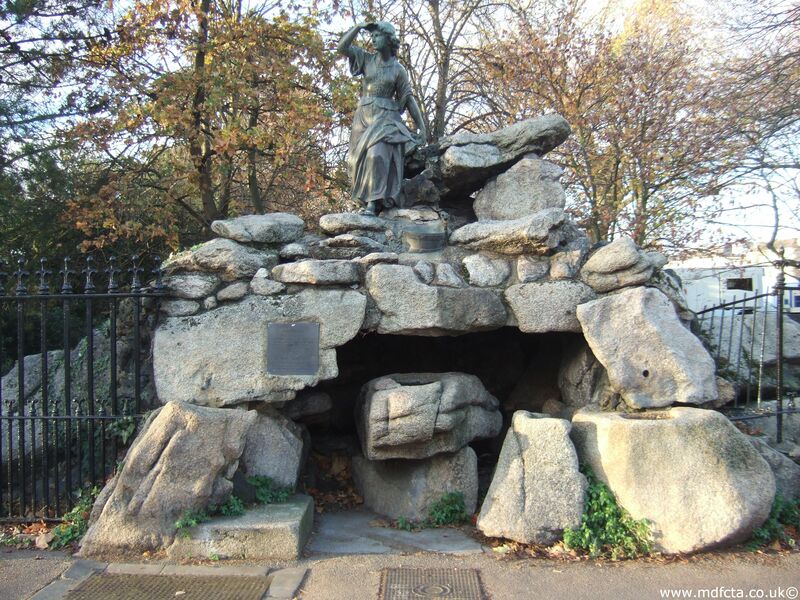 The gift of Mrs. Girdin. 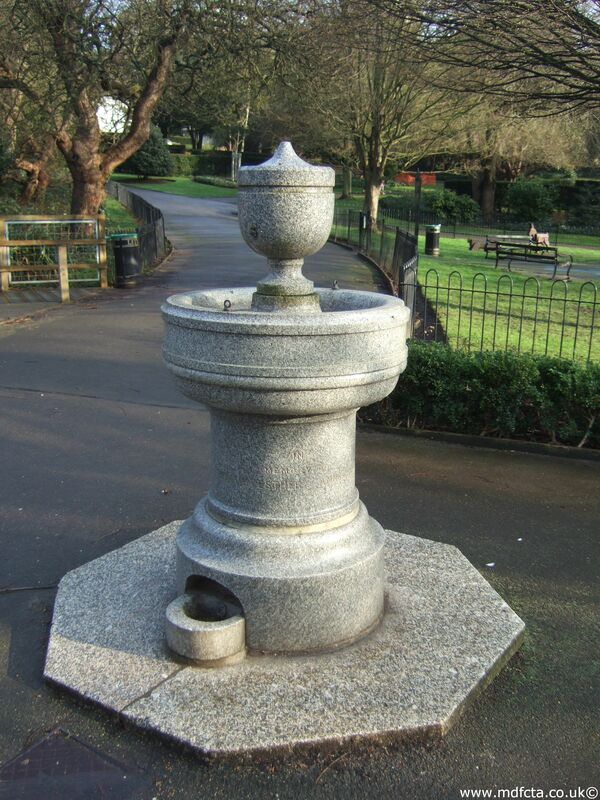 A picture of the trough can be seen here. 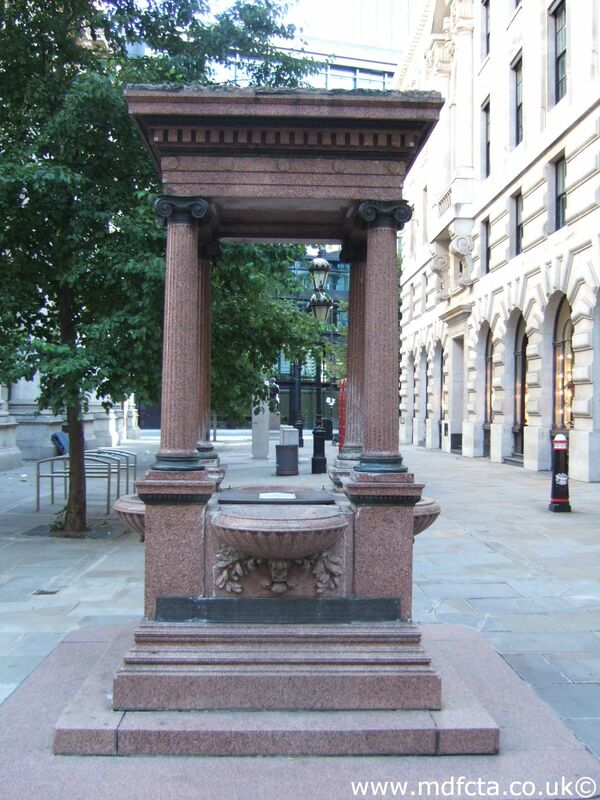 It's believed this trough was destroyed during a bombing raid on 15-Nov-1940 during which many civilians were killed. 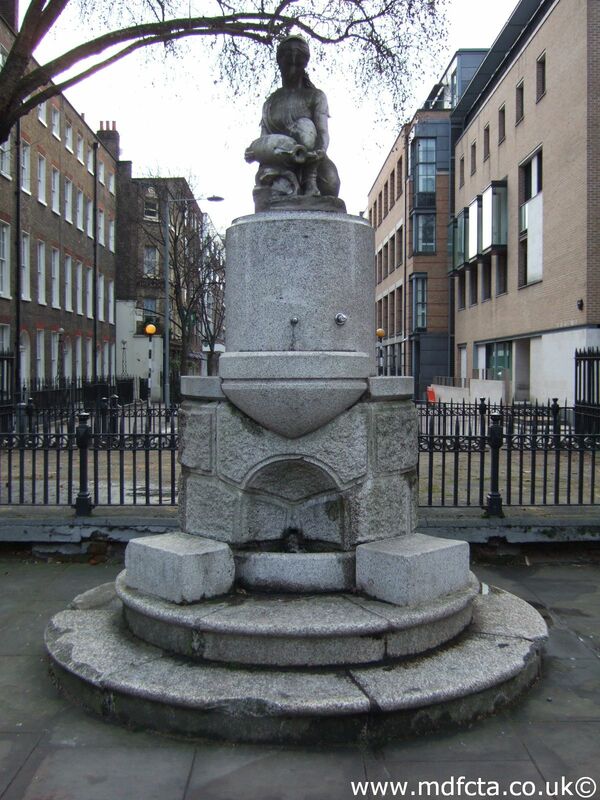 In March 1887 a 9ft 6in trough  was erected in Great College Street (now Royal College Street) near the "Salter Memorial". 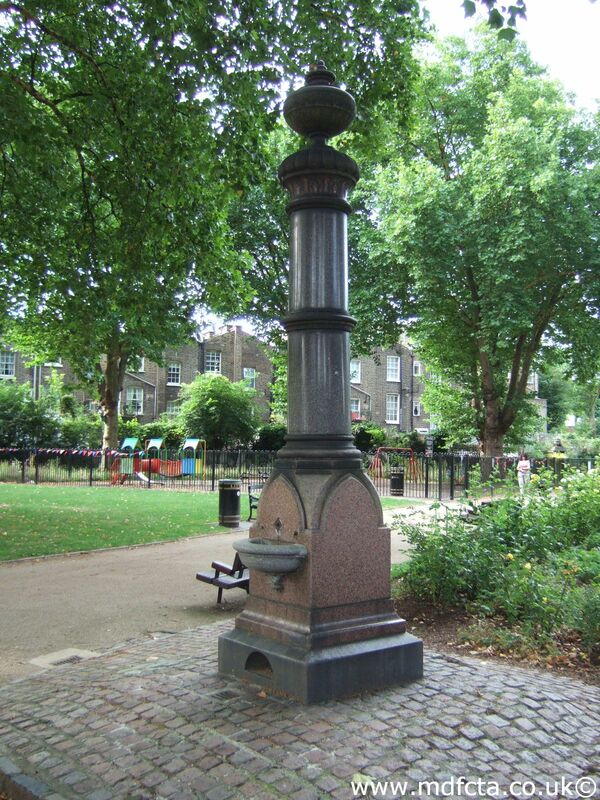 It was originally located at Camden Broadway from 1882 but moved to Great College Street in 1887. 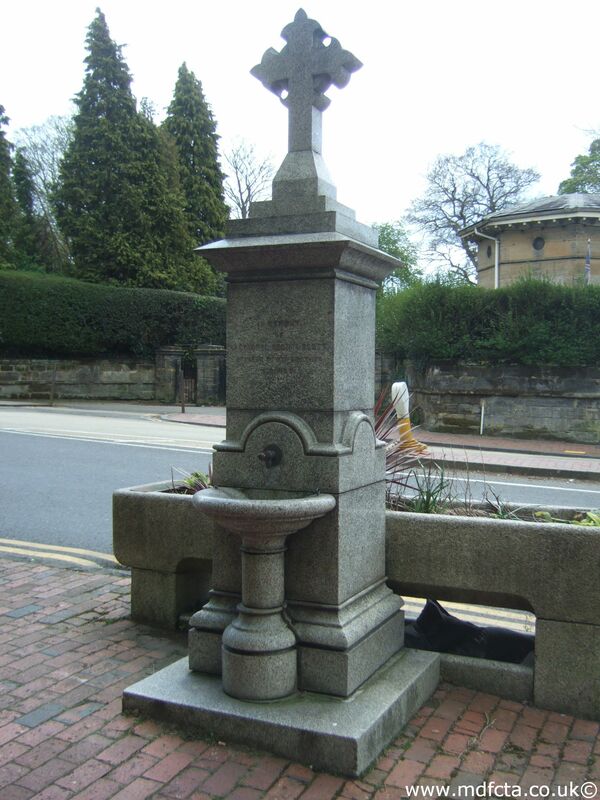 In December 1881 a 9ft 6in trough  was erected on Highgate Hill outside Lauderdale House. 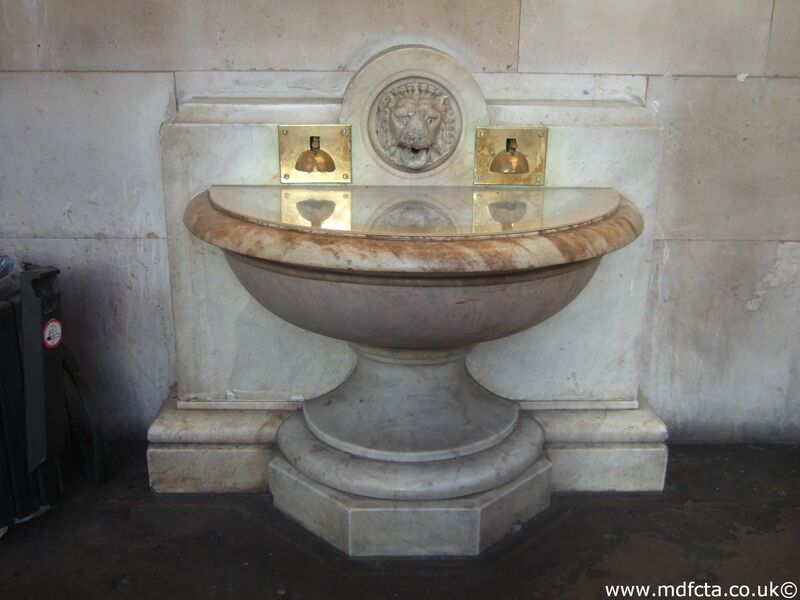 This trough was a “Reardon Memorial” with an inscription. 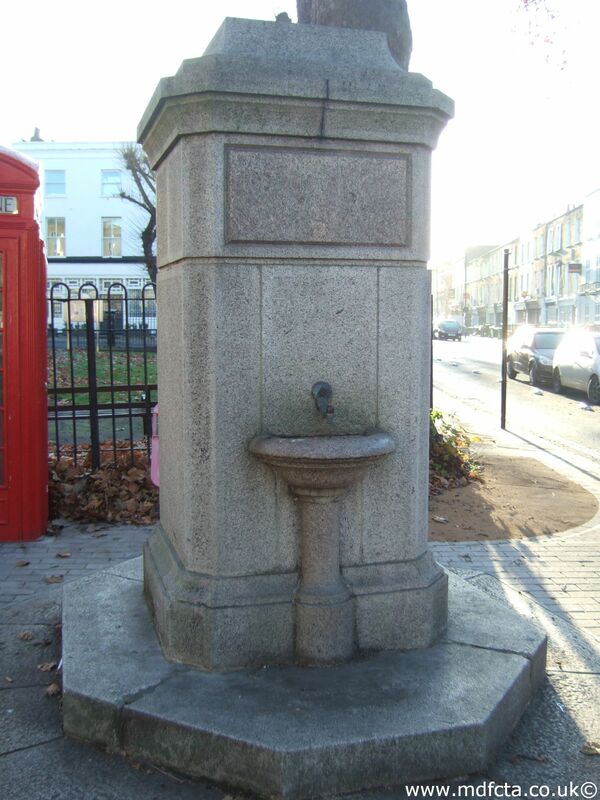 In February 1882 a 9ft 6in trough  was erected at the junction of Kentish Town Road and Camden Road. 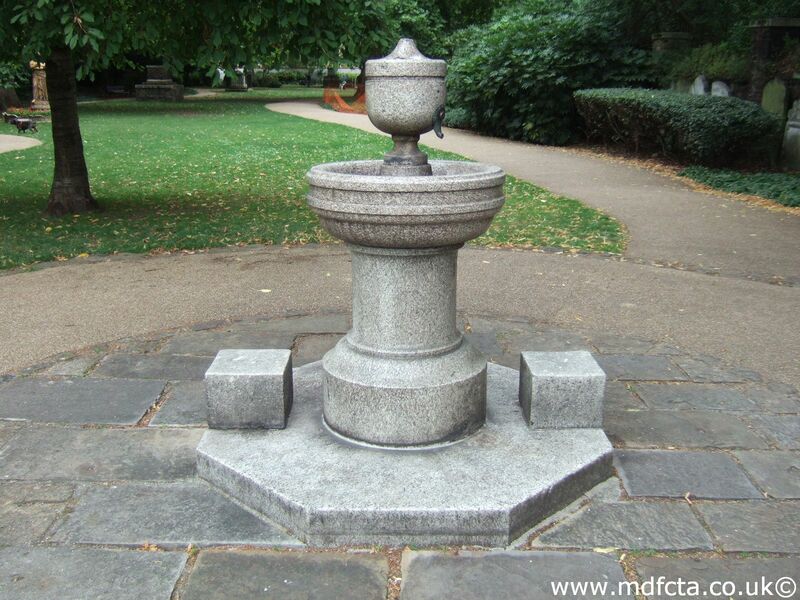 This trough was also a "Reardon Memorial" with an inscription. 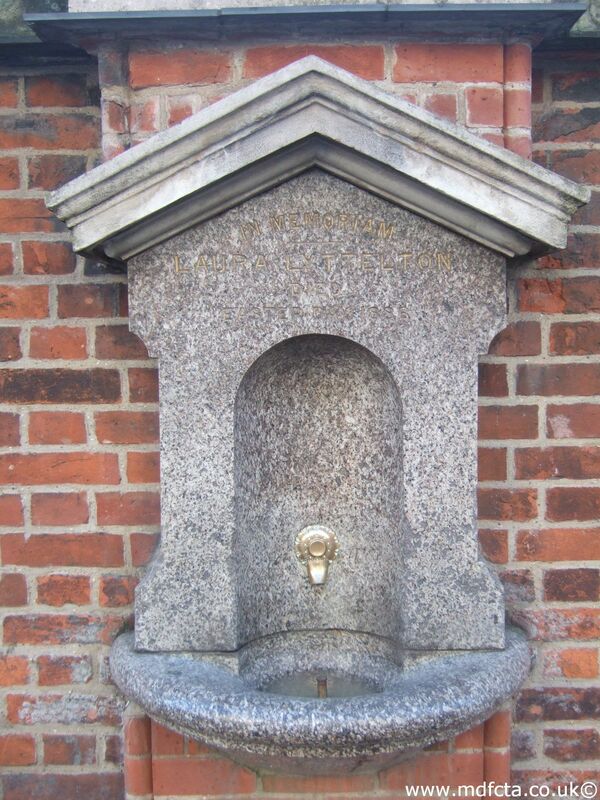 In September 1878 an 18ft trough  was erected at Ossulton Street. The gift of Mrs. Buchanan. 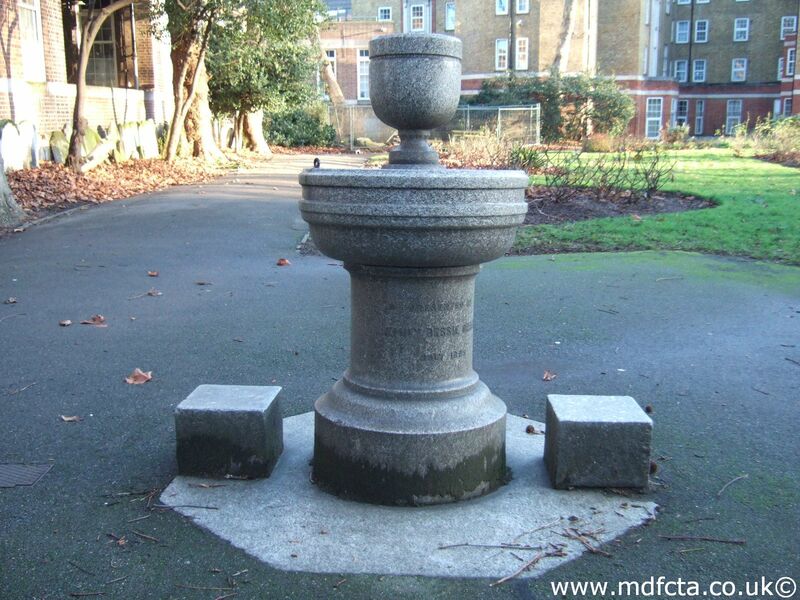 This trough was originally at Euston Square near St. Pancras church. 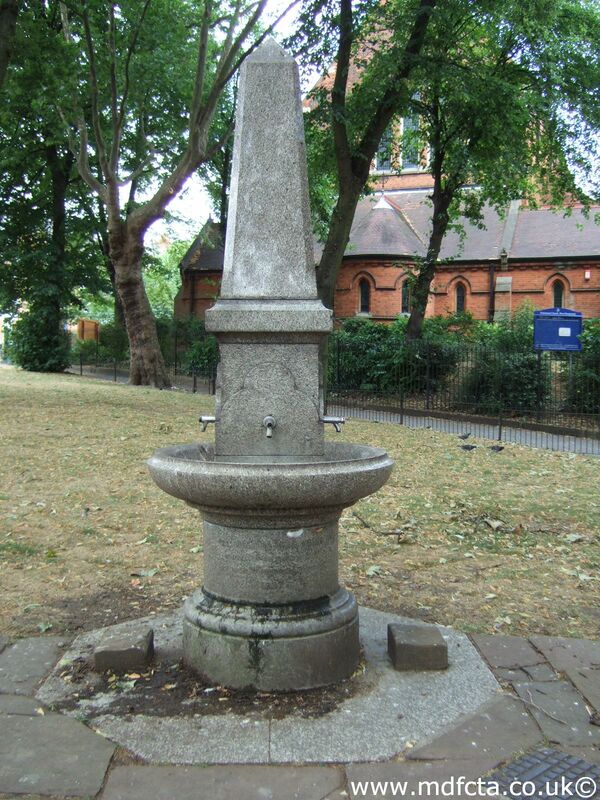 In March 1898 a 9ft 6in trough  was erected at West End Green, West End Lane, Hampstead. 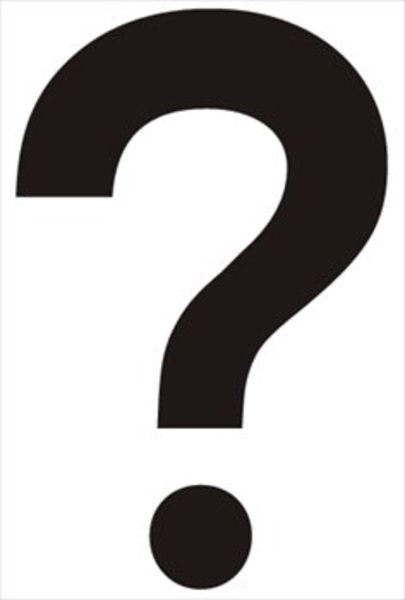 Cost defrayed by Miss Miles. 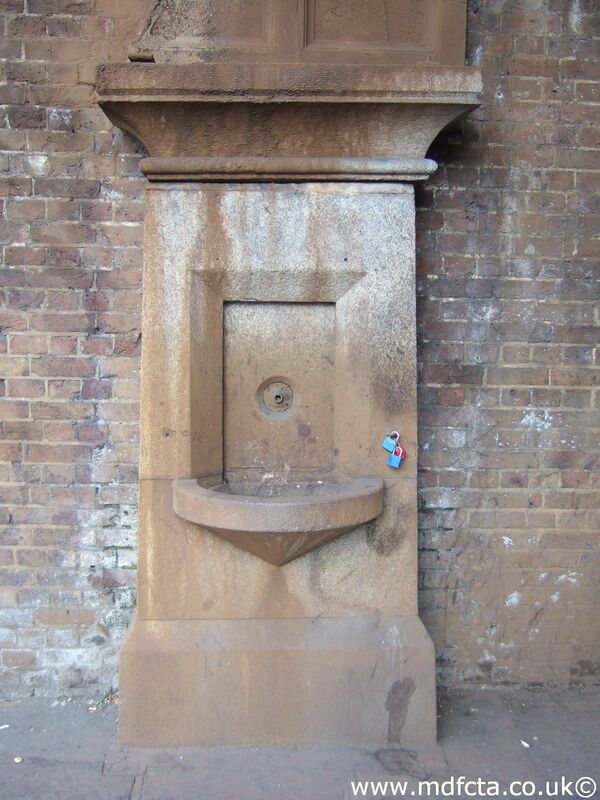 This may have been removed in 1955. 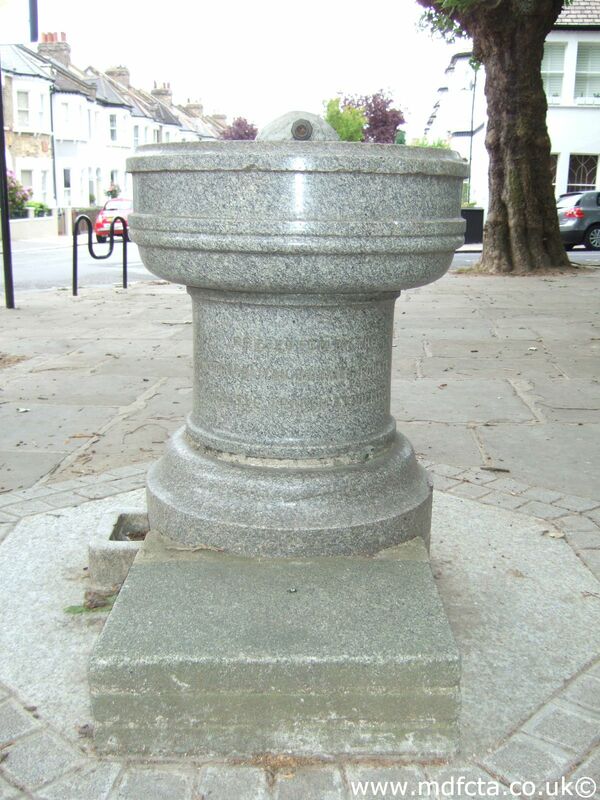 On 1 February 1935 a 9ft 6in trough with a special fountain head  was erected at Maygrove Road, Hampstead. 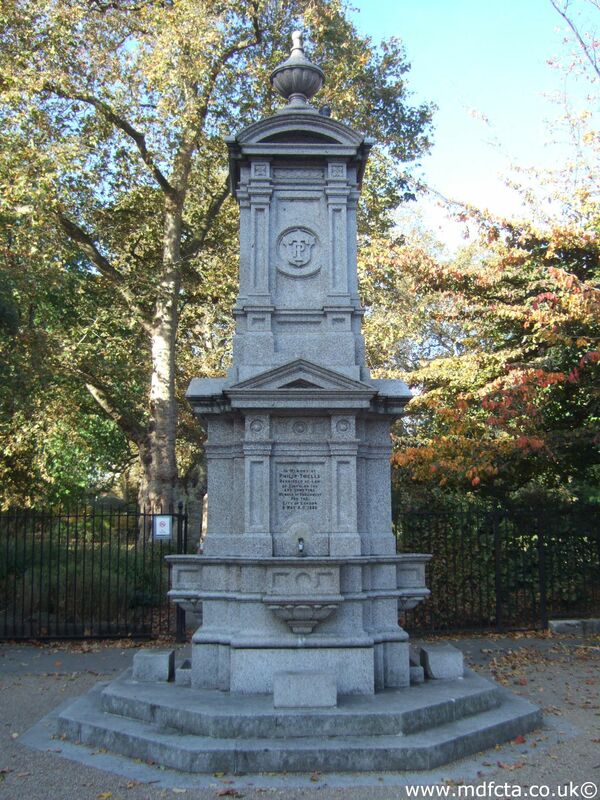 It was erected by the legacy of the late Mr Hendeson side of trough and includes the inscription: "In memory of the late James Stewart Henderson". 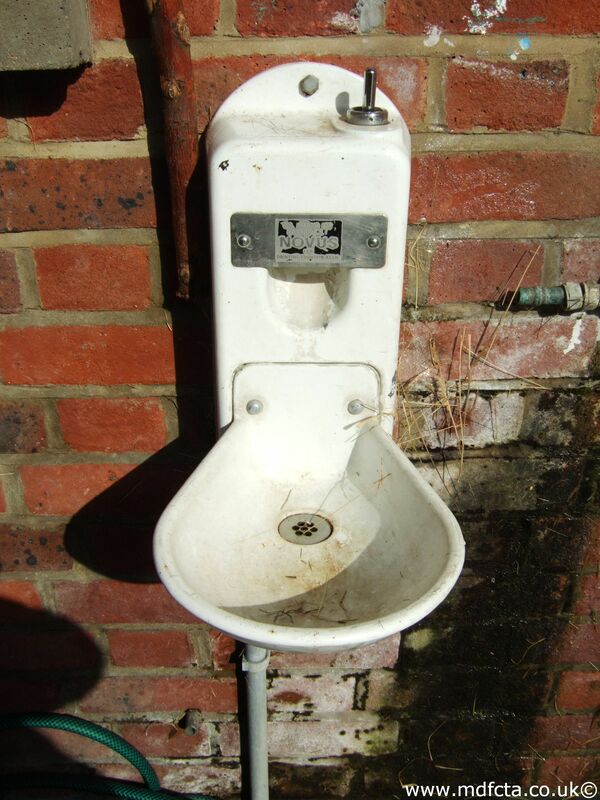 This may have been removed in 1962. 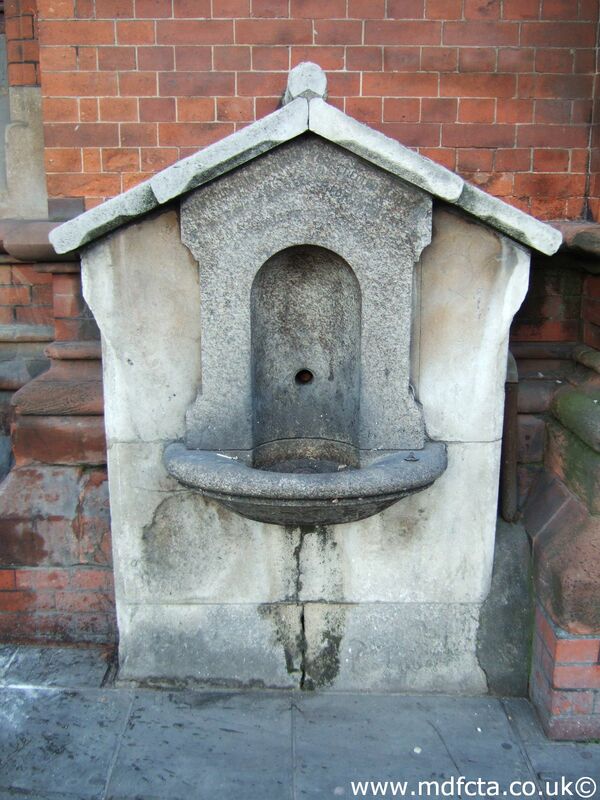 In December 1898 a 9ft 6in trough  was erected at Kilburn Priory near High Road Edgware, Hampstead. 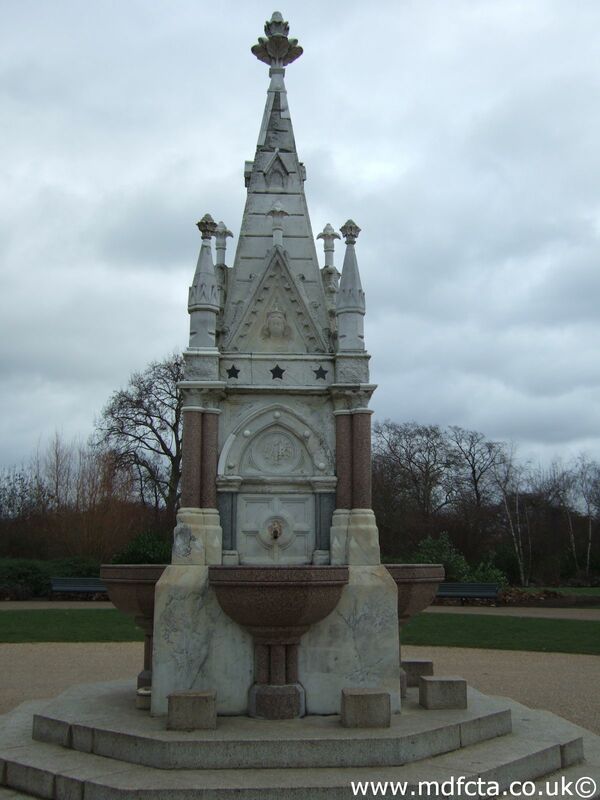 It was the gift of J Passmore Edwards and may have been removed in 1955. 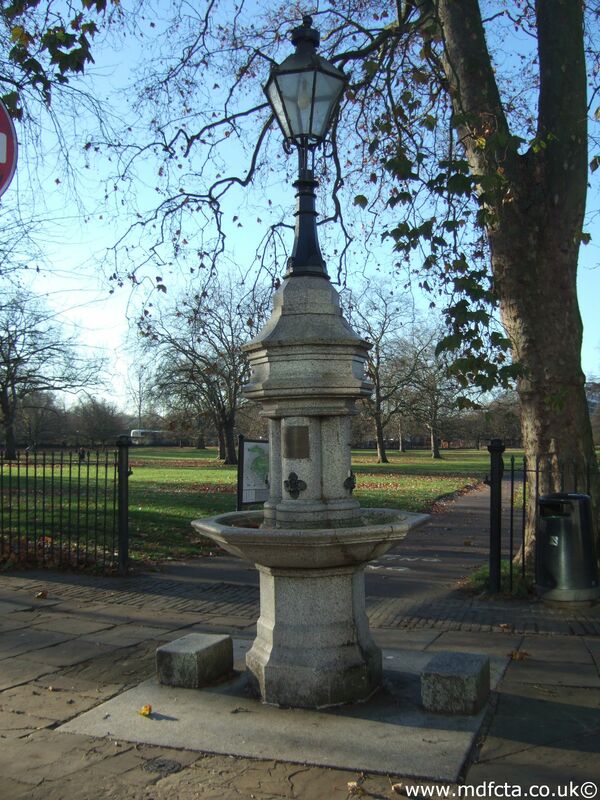 In April 1876 a 12ft trough  was erected at St. George’s Terrace, Kilburn. 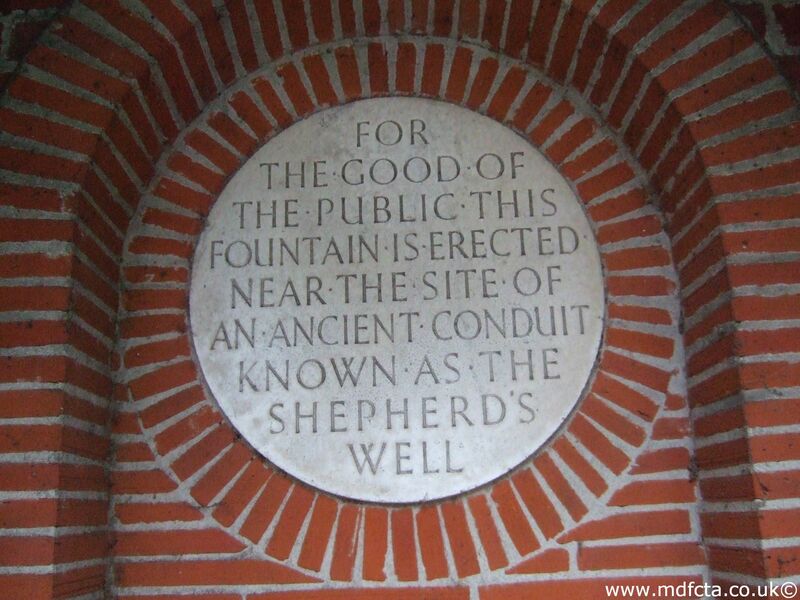 This may have been removed in 1955. 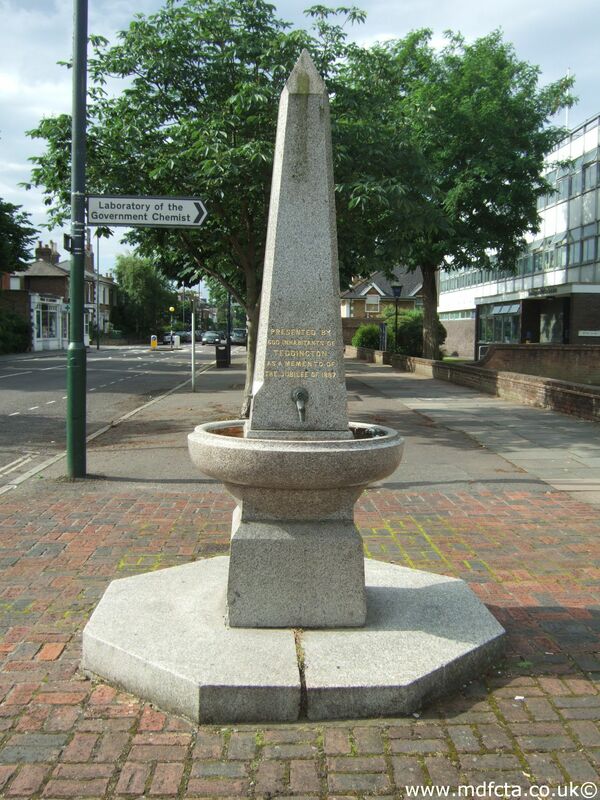 On 11 December 1911 a 9ft 6in trough  was erected at the junction of Iverson Road and West End Lane, Hampstead. 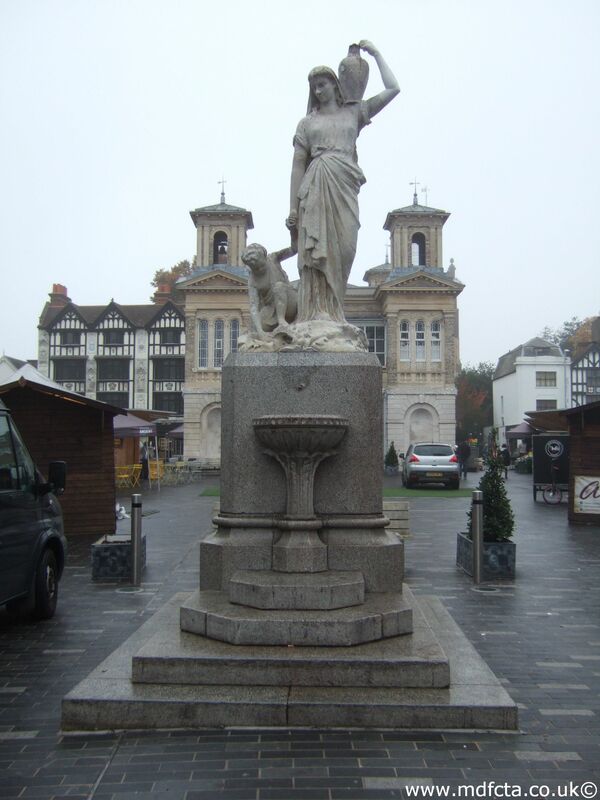 it was the gift of Lady Banbury and may contain an inscription with her name. 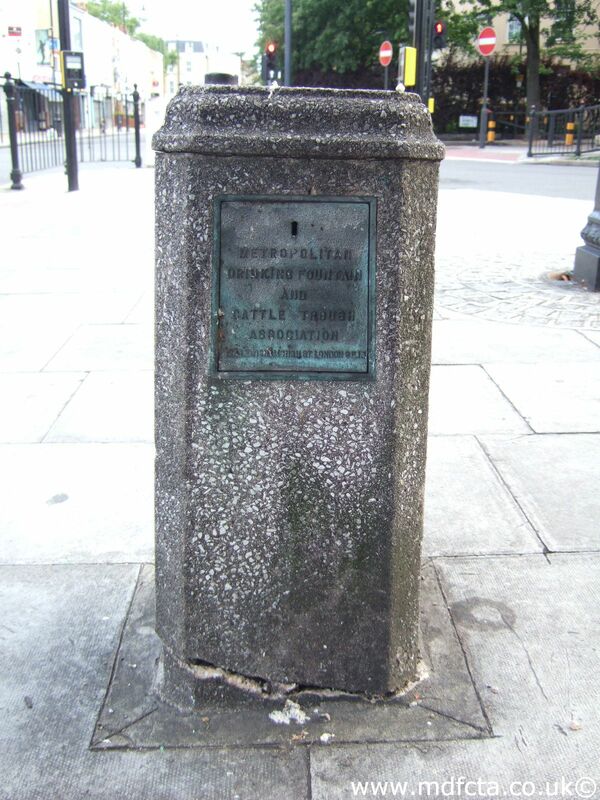 It may have been removed in 1962. 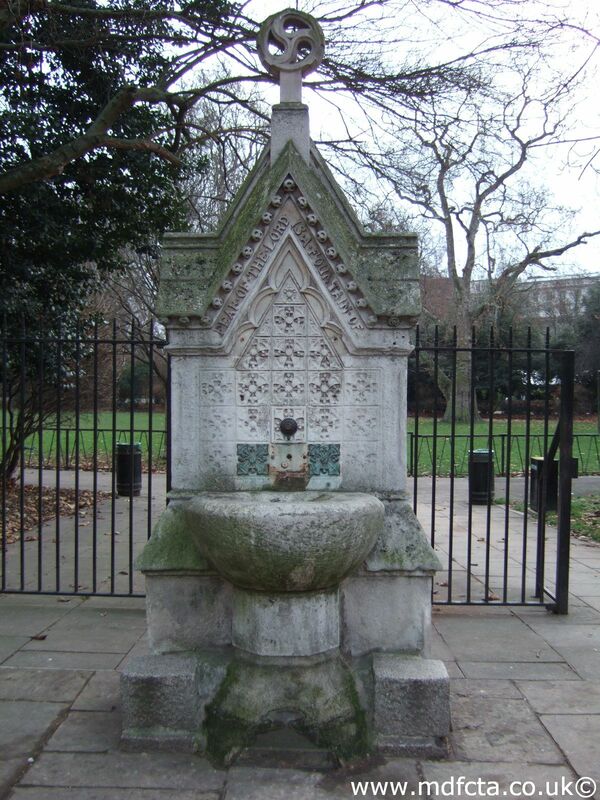 In February 1880 an 18ft trough  was erected on Haverstock Hill between Belsize Lane and Lyndhurst Road, Hampstead. The gift of Mr Patrickson. 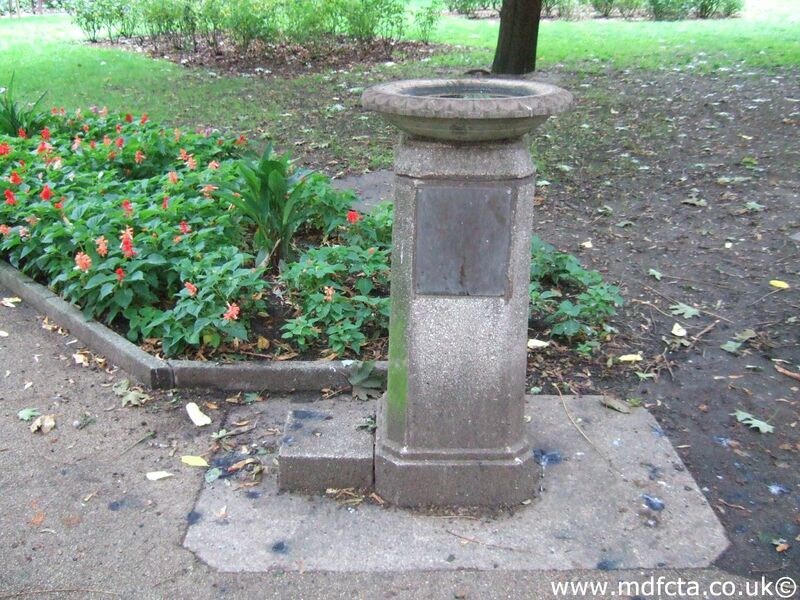 It may have been removed in 1962. 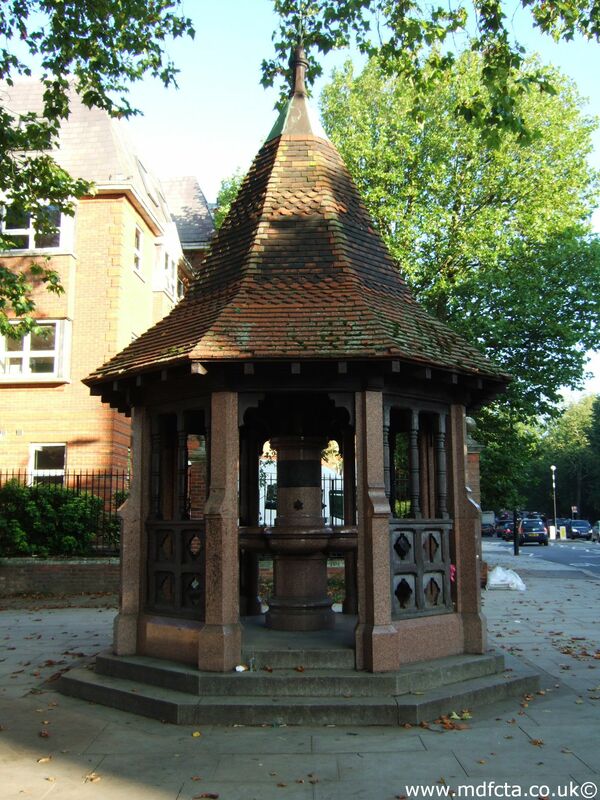 In October 1904 a 6ft 6in trough  was erected at the junction of Fitzjohn Avenue and College Villas, by College Crescent, Hampstead. 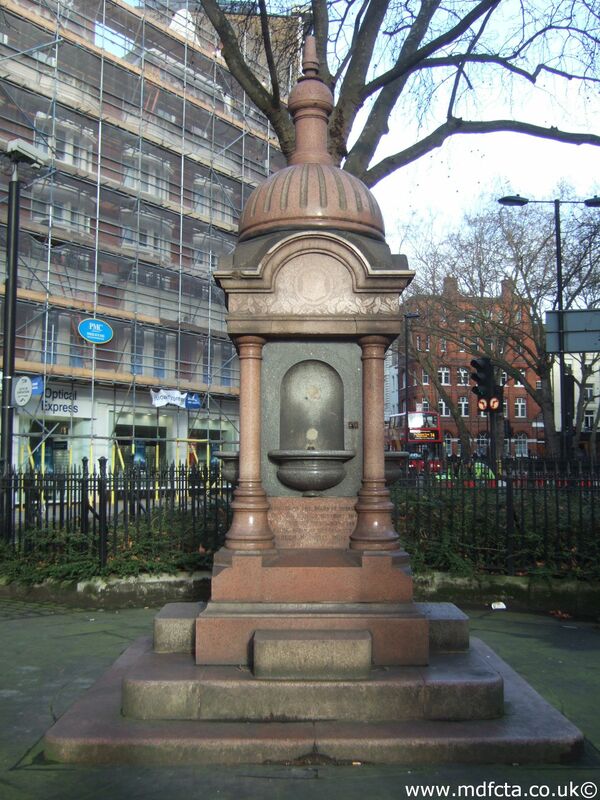 It may have been removed in 1962. 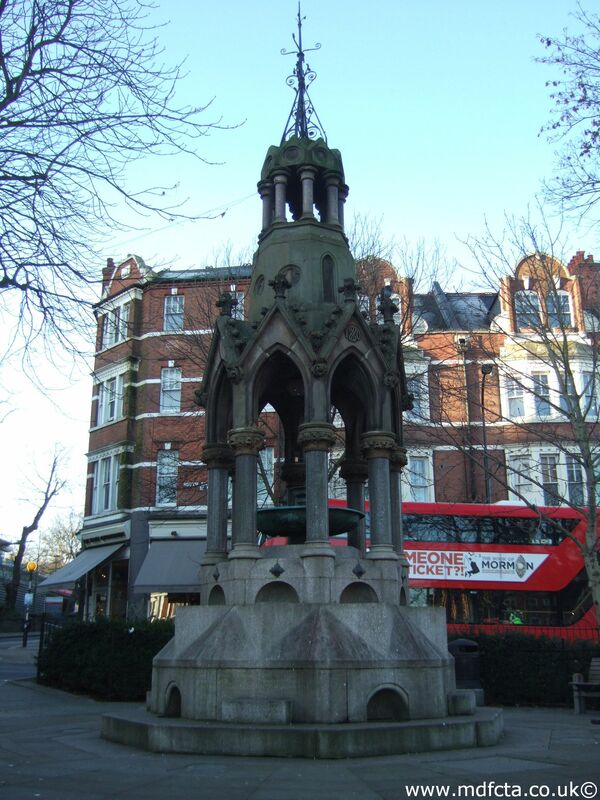 In December 1899 a 9ft 6in trough  was erected on Finchley Road opposite Finchley Road station. 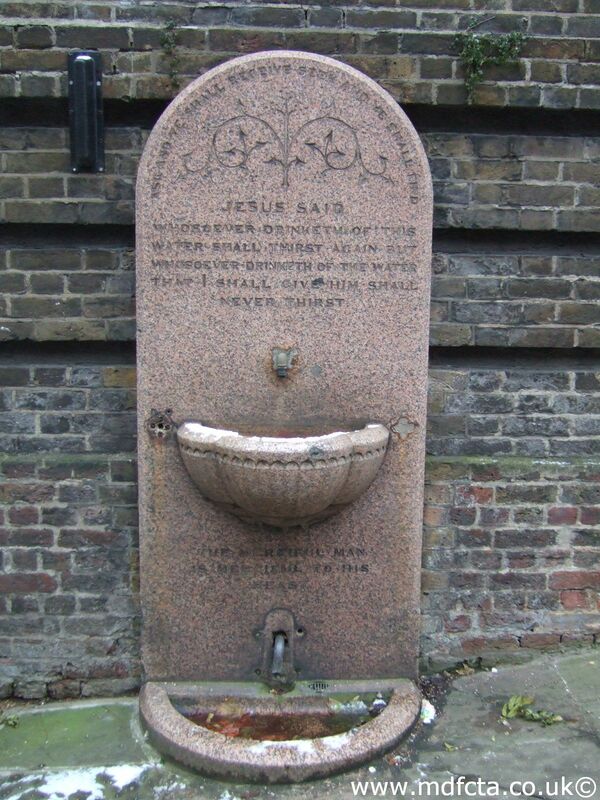 In memory of J.B.Beale given by his daughter Rosa Banbury. 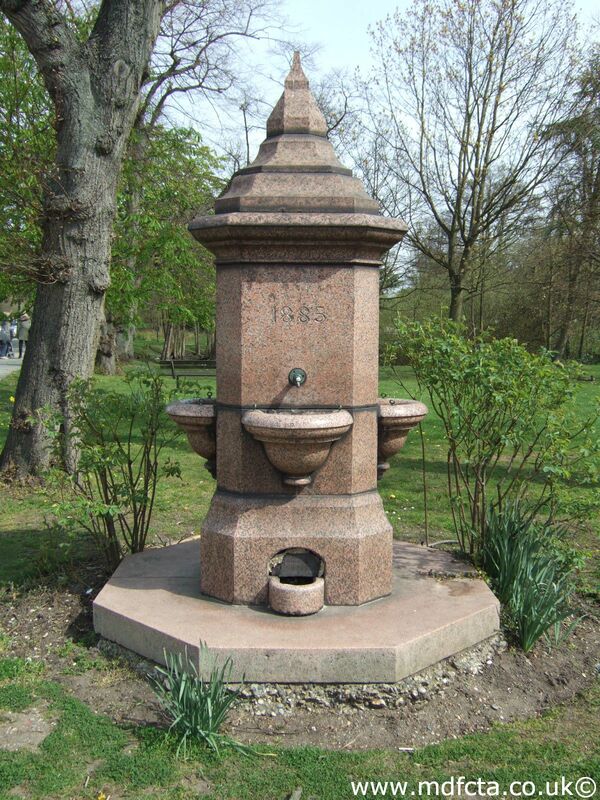 In December 1899 a 9ft 6in trough  was erected in Finchley Road at end of Fortune Green Lane. 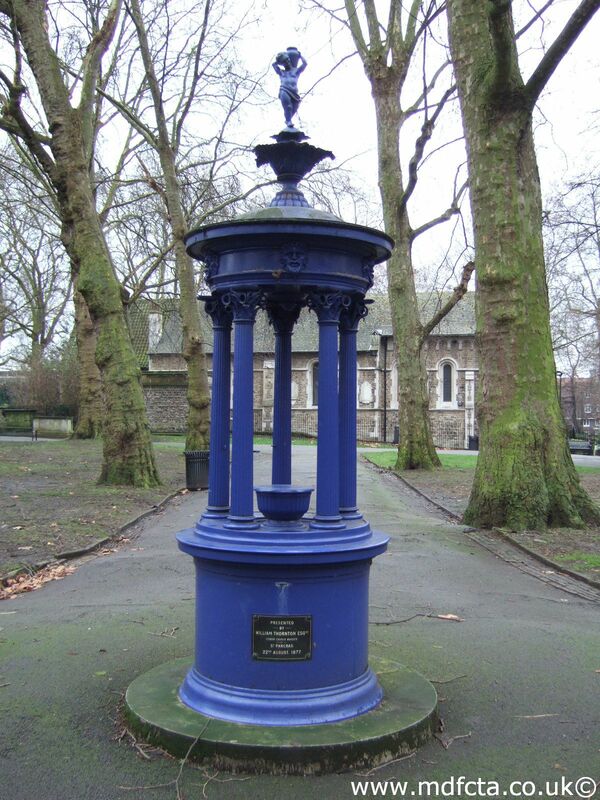 Are there any more Metropolitan Drinking Fountain and Cattle Trough Association drinking fountains in the London Borough of Camden? 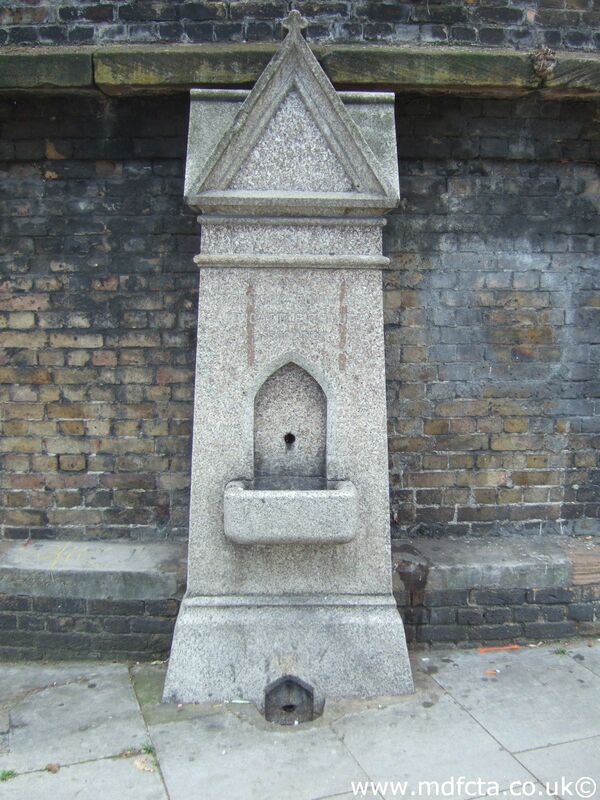 If you know of any other drinking fountains in Camden please send me details.